Architects are not household names, especially not living ones. The average reader of Sunday newspapers can probably name Frank Gehry or recognize his derivative blobitechture by sight, but otherwise it's difficult to think of a living architect who might be recognizable to a non-enthusiast or professional in the field. The most important, decorated, and accomplished living one died on Thursday, and her death was no more than a Page 3 level headline. 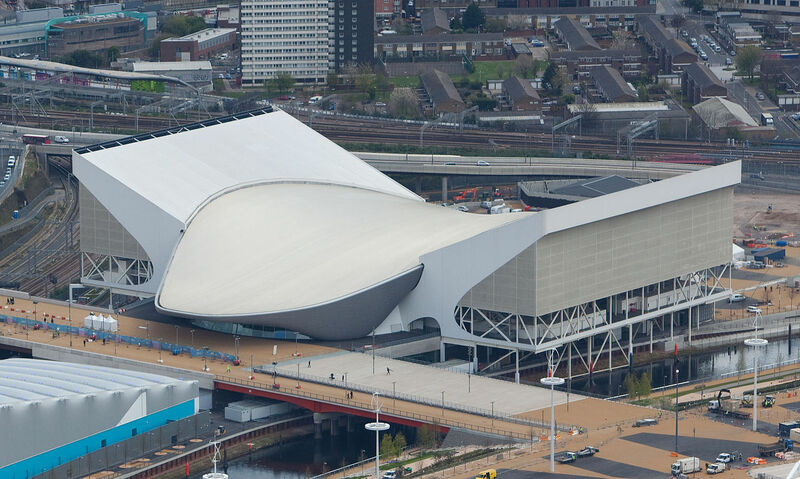 Zaha Hadid was born in Iraq in 1950 to a wealthy family, which allowed her in 1972 to move to London to study architecture under, among others, Dutch giant Rem Koolhaas (who, like her, would win the Pritzker Prize, the Nobel of architecture). Today both are recognized as founders of the first identifiable successor to postmodern and modernist architecture, a heavily geometric yet smooth style that defies its mathematical origins by blending in place with its surroundings. It is a shame that neither figure is better known, but it is not uncommon in architecture for time to be a crucial ingredient in the growth of one's reputation. 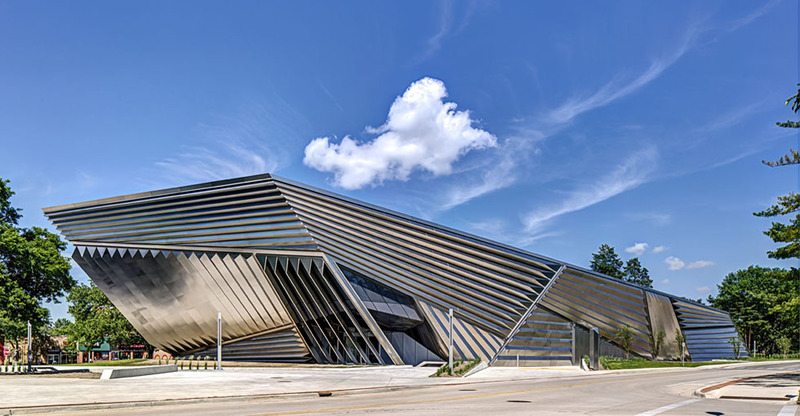 In a professional world in which few women become prominent, Hadid won the Pritzker in 2010 (the only solo female recipient to date), two Stirling Prizes for individual works (Rome's MAXXI art museum – get it? XXI? – and London's Evelyn Grace Academy), and the Royal Institute of British Architects Gold Medal, of which she is also the only solo female recipient. The word "visionary" should not be tossed around lightly. Hadid was one. Her architecture of multiple perspectives – buildings that present dramatically different impressions depending on the point at which one views them – is now a commonly imitated aspect of contemporary architecture and even interior design. 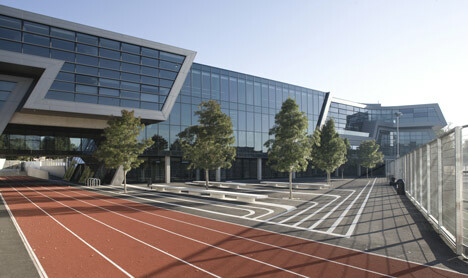 The BMW Building and the aforementioned Evelyn Grace Academy are probably the most representative examples of this, as well as excellent examples of how geometric designs can be made to blend naturally with the landscape. Any architect can make a geometric design that stands out like a jagged shard from a flat landscape. It takes restraint and an eye for aesthetics that few have or ever will have to make it look natural. It's sad to think someone so important could depart without attracting more attention. Maybe it is the lack of major projects in the United States. Maybe it is the absence of a loud, garish "Hey look at me" style to her work. While the name might not be familiar to you, she did as much as or more than anyone to shape the way the world around you looks today and the aesthetics of urbanism in the foreseeable future. Her influence will outlive her. Nice post. She was well known in architectural circles and she got a lot of criticism from her colleagues. She was tough, she had to be, as a woman in a man's world. An old white man's world at that. 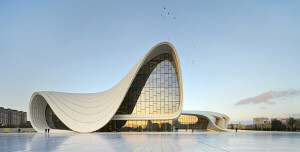 My partner is an architect, so I was somewhat familiar with Hadid's work. She was mostly unknown in the USA, but women in architecture admired her success. Internationally Hadid was a real star in architectural circles. I wish she had done more projects in this country. I was fortunate enough to see models of Hadid's work in a small museum in Copenhagen a couple of years ago when we were there visiting. I was amazed by the originality of her designs and by the fact that I had not even heard of her prior to stumbling upon that exhibition. So it goes with those beyond their times. Ed, I love posts like this for NPF. It's really great to read and see great architecture. She designed some really incredible buildings. It's a shame to see her go. I am sure she was as great an architect as you argue but am afraid that I must have slightly different definitions of restraint and blending naturally with the landscape. 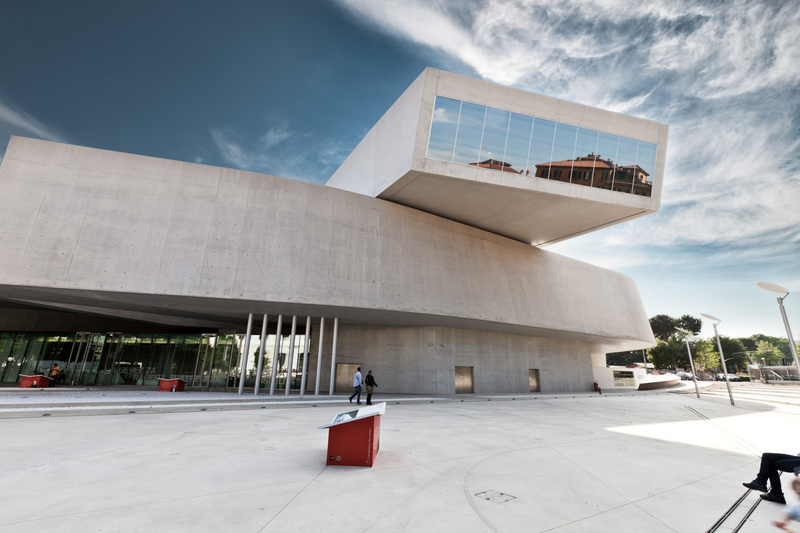 To me, the Broad looks like something from a surreal nightmare, and the MAXXI as if it was left half-finished. The Heydar Aliyev looks very attractive, admittedly. I guess what I want to say that I am not impressed by contemporary architects' preference of art over functionality. I would rather have a box that is cheap to build, energy-efficient to AC and heat, cheap to maintain, and still functional eighty years later. She made the front page of the L.A. Times, as well as the front page of the Calendar section (arts & entertainment). I have to confess that I didn't recognize her name. Don't know if that ever got beyond the design phase. She also had designs for a mindboggling mosque in Kuwait. As someone capable of so much, she died way too young. I could only name Frank Lloyd Wright and he is dead and was an SOB from what I have read. Her work is beautiful. I recall hearing about the Tokyo 2020 stadium that was cancelled, but never got deep enough to know it was her design. The tragedy is she was being treated for bronchitis in Miami hospital and suffered a heart attack. . . Spent 25 years in an industry where every plant had essentially 3 main buildings. Most were all rectangle, some had 2 rectangles and one round. My career choice, but I never realized how boring it was from the outside looking in. Once inside you were surrounded by mechanical and electrical beauty. I would rather have a box that is cheap to build, energy-efficient to AC and heat, cheap to maintain, and still functional eighty years later. Well no, a lot of Soviet style architecture was not durable and cheap to heat – it was only cheap to build. But otherwise I don't mind sitting in a functional brown box as my institute when I was a postdoc in Zurich. Funny, architecture is one of those spheres of art that I am completely numb to, except to look at most modern buildings to think how ugly they are. That London Acquatic Center looks like an eyesore to me. We could have never stopped building everything in a neoclassical style and I would be perfectly happy. I had never heard of her but I have to admit that the interview was very interesting and they had a loop of her designs on the screen. I think they're beautiful designs if the building was away from other buildings, but they don't blend into areas with existing architecture. They're like sculptures. You need to stand back to look at them. I wonder what they are like inside. I know that the Frank Lloyd Wright Johnson Wax building has (had?) a major leaking problem. I wonder how such mundane problems as keeping the rain out and heating and cooling the interior evenly works out. Are the work areas evenly lighted? Can you arrange furniture inside with the swoops and swishes or is a lot of space wasted? The pictures on the screen at the New Yorker Festival were outsides or something like an entry areas with an escalator.